How is THIS Better ??! A while ago, I blogged about a fantastic little coffee stop that some enterprising guy had erected on a piece of crappy land alongside my beloved Rochdale Canal. 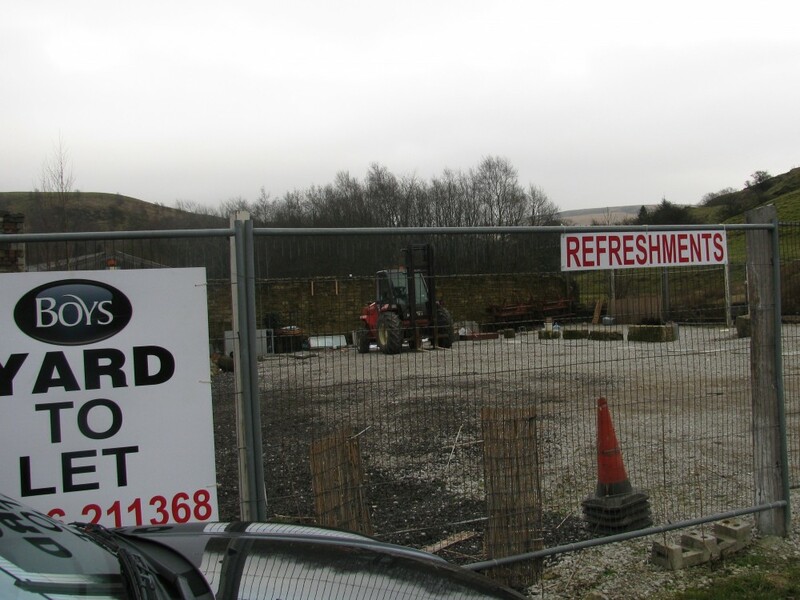 The last time I had a brew there, the chap was telling me about having to take a case to a planning tribunal, since somebody had complained about his portakabin not being in keeping with the local architectural specifications required for planning approval in that part of Littleborough. Well, Guess What? The Moaning Buggers Won Again! What is it with these Daily Mail reading, interfering idiots? I’m all in favour of pretty towns and villages, but can someone explain how the first picture below is an improvement on the second? Closed. 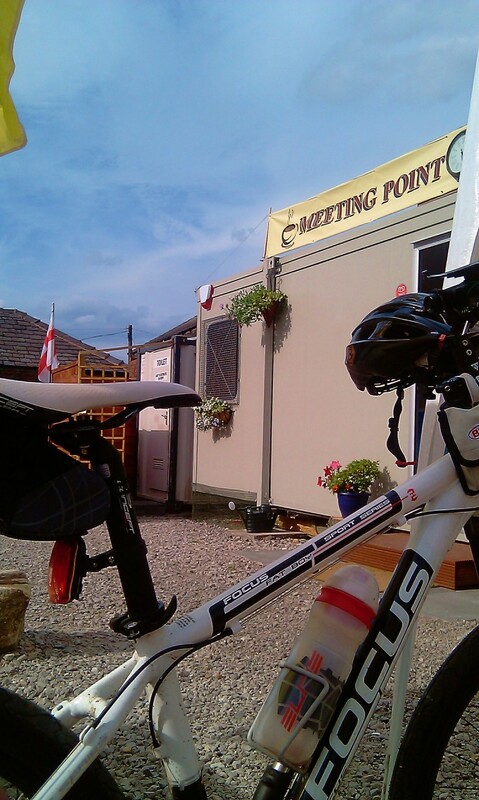 Meeting Point Rest Area. Open. Meeting Point Rest Area. Note how the sign says “Yard To Let“. So… thanks to the complaints of one or more people who would like to maintain the architectural splendour of Littleborough, an amenity for walkers, cyclists, kayakers and passers by has been shut down. It will, at some point, be replaced by a yard. Until then, it stands as a piece of wasteland protected by fences and containing a few piles of rocks, discarded pallets and (for now) a fork lift truck. That’s progress, that is. Sheesh. Idiots. I hope they’re proud of what they’ve done. Now I don’t have an incentive to get my 9 year-old stepdaughter on her bike, because the pull from this “Yard” up to Hollingworth Lake is hard work for her. A milkshake and a cookie from The Meeting Point was fantastic for her to recharge her batteries and break up the ride. Now she’s not interested. I know that me with my 3 kids and other half are just one family. But we’re one family who have been negatively affected by these interfering, unhelpful people. What have they gained? I wouldn’t be so angry if there had been an improvement. … and some happy canal users. I hope these people regret what they’ve done. If you’re one of them, why not explain how you’ve benefited the local area? Please?